A tall, dense jungle is what our 19' Rainforest Slide is! Complete with greenery, palms, and water, you will sure feel as if you are in a tropical rainforest. Climb 19 feet to the top and view the inflatable palms and water below you before plummeting into a large wading pool at the bottom. 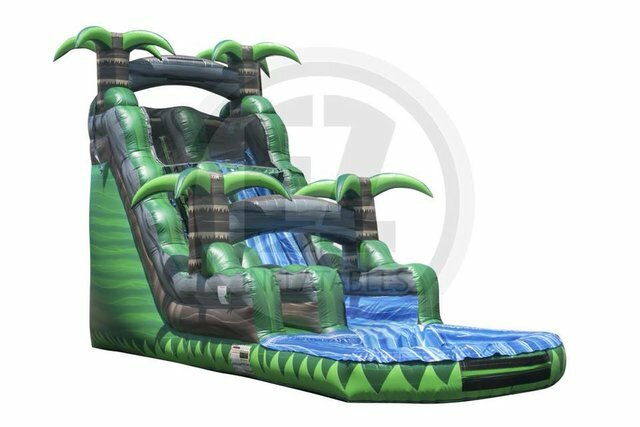 This water slide is perfect for any tropical-themed party and is sure to be a hit with all of your guests, so book now!